One of the oldest sayings in economics is, “There’s no such thing as a free lunch.” The point is that even if a lunch appears to be free, you’re paying for it in some hidden way such as reciprocal obligations, higher contract prices or some moral obligation to do business. Of course, the principle is even broader than that and applies not just to lunches but to any transaction where the price is too good to be true. Despite that well-considered wisdom, economists and politicians are promising something today that’s even better than a free lunch. It’s free money! As this article describes, free money is the promise of a new school of economics called Modern Monetary Theory, or MMT. If you haven’t heard of it yet, you will be hearing a lot as the 2020 presidential race kicks into high gear. 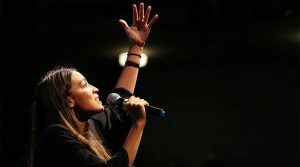 Bernie Sanders is a believer in MMT and the vocal Congresswoman Alexandria Ocasio-Cortez claims that it should be part of the “conversation” among Democrats. The idea is that the Treasury and Fed are a merged entity. The Treasury creates wealth by spending money. The notes issued by the Treasury can simply be bought by the Fed and stashed away on the Fed’s balance sheet until maturity. There is no limit on the amount of debt the Treasury can create or the amount of money the Fed can print to buy the Treasury debt. The money created by the Fed is spent by the Treasury, which increases GDP and enriches the recipients of Treasury spending. This money can be used for infrastructure, health care, free tuition, guaranteed jobs and income or anything else. What’s not to like? The MMT plan will lead to national insolvency and the repudiation of the dollar, but very few will see that coming until it’s too late. The simple remedy for investors is to dump dollars and buy hard assets like land, gold and natural resources. You may not get a free lunch, but at least you’ll preserve wealth.